“After four challenging months of talks, following the outcome of last October’s elections, Krisjanis Karins successfully conducted the negotiations to form a stable government. 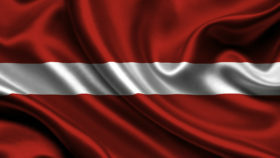 Under the leadership of Vienotība, the Latvian executive will deliver on the concerns of Latvian citizens and ensure Latvia remains a strong partner in the European Union. By prioritising anti-money laundering measures, Prime Minster Karins will safeguard Latvian democracy and stop corruption weakening our societies. The healthcare and education reforms and economic growth proposals included in the government plan will meet the expectations of the Latvian people. I look forward to welcoming Prime Minister Karins to the next EPP Summit in March and working with him. His commitment to the Latvian people and the European project is self-evident from his mandates in the European Parliament, which leave me under no doubt that this government will be a guarantor of stability for Latvia and keep the country on its Euro-Atlantic Course”.